Nowadays, having a social media account usually contains important information, thus these details sometimes also link to our money related accounts such as bank accounts, PayPal, Gcash, etc. Having our accounts hack is extremely dangerous that could lead us to money loss and even identity theft. Let's read the warning and an experience by a netizen. 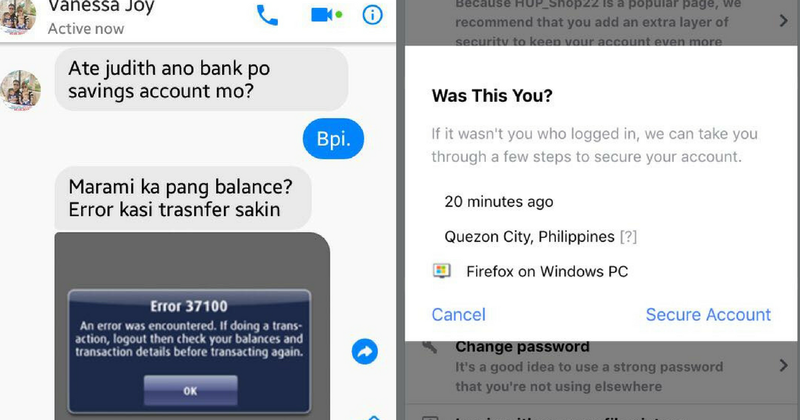 According to a report, Vanessa Joy Barrion, the victim and a Facebook user shared her incident of identity theft. She was very busy even just to check her phone, therefore she was unaware that her account was being hacked. 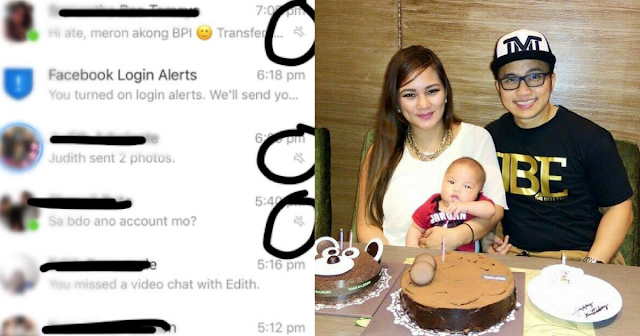 She was surprised that one of her friends called her and her husband and informed them that they were having a conversation in messenger. As one of her friends said, the victim asked help in transferring bank funds. When she checked her messenger app, her friends' names were on the upper portion even if she did not send any messages. The hacker made some changes in her messenger application settings. 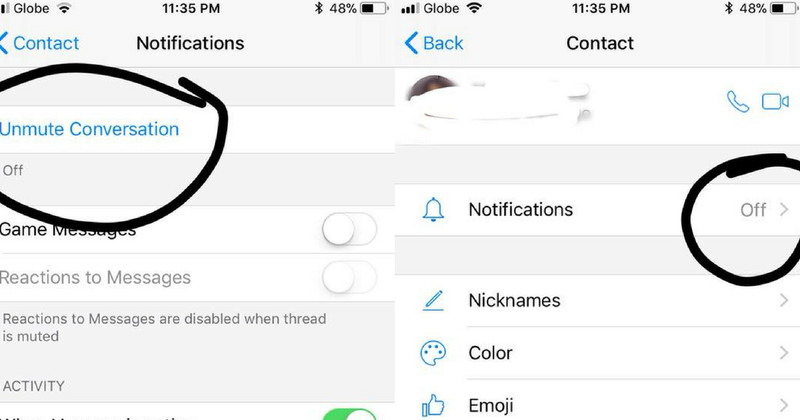 He turned off the notification button so that she can't be notified if there's a reply, then sent messages to her friends' list then delete the messages quickly if someone responds. 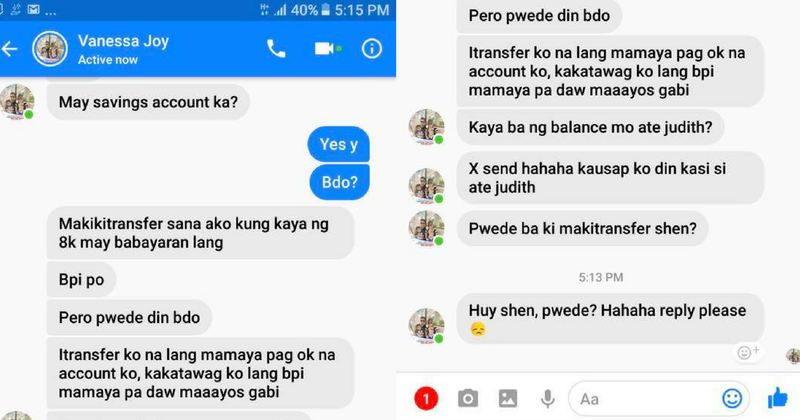 The hacker sent a lot of messages to her friends such as asking for a savings account, pretending that she can't do fund transfers, then asked if the friend can transfer some money. As can be seen in the conversation: "Makikitransfer sana ako kung kaya ng 8k may babayaran lang." As for safety reaction, Vanessa, changed the settings and the passwords of her accounts including her Facebook, Yahoo, and others. However, the hacker was still able to use the said account even after changing it up to five (5) times, logging in and out. As she posted on her Facebook account: "Be careful guys! 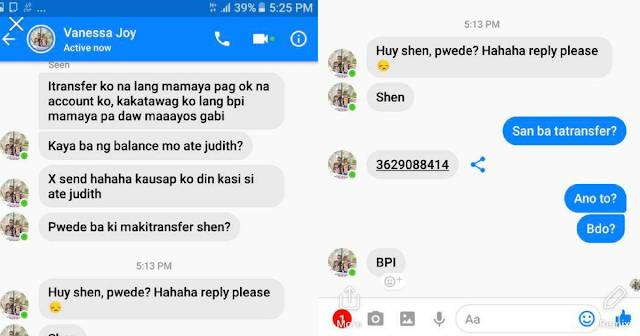 Delete all important messages here on FB especially bank accounts and always change your password, if you think nahack kayo change your email right away..." She also mentioned that if someone you knew no matter how close you are, always verify. What the victim's advised was true, let's all be vigilant and always in doubt especially if it's money matters. Please share this so that others will be warned. What can you say about this new online scam in Facebook? Share your thought on the comment section below!